Critical Linkages Photographer Jeff Ripple poses next to his work. Jeff Ripple documented the Pine Island Slough Ecosystem for LINC’s Critical Linkages Project. Des Moines, Iowa suited Jeff for a while, but a couple years into school, he transferred to Southwest Missouri State University, and eventually to Florida Atlantic University. Back in Florida, he earned his Bachelor’s Degree in English. With “no idea what to do with a degree in English” Jeff got his first job out of college at a medical software company, writing technical manuals. However, he soon moved into natural history writing, where his career became successful as he published eight books to date, as well as writing for many magazines. Jeff’s photography career originally began as a way to illustrate his natural history writing. Since then, he became a photography teacher at independent workshops, and most recently started exploring the medium of painting. As a photographer and a painter, Jeff’s principle focus is upon light: “I want to convey to others what this landscape conveys to me. Light can communicate that idea to a broader audience. In focusing on a landscape, you have to take what’s given to you.” He never uses a flash, and as a result, many of his pictures appear as paintings. 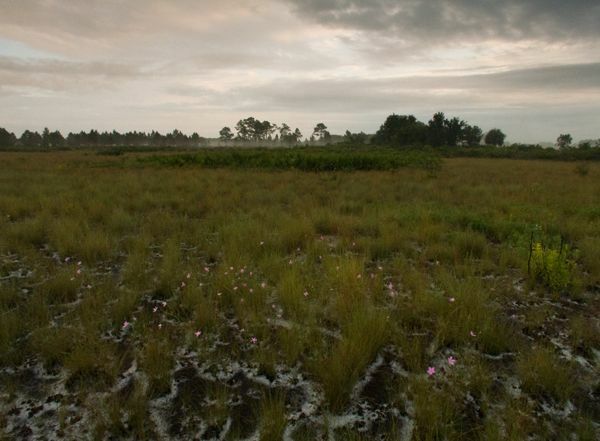 Dramatic sky and open prairie convey the sense of space Critical Linkages Photographer Jeff Ripple felt here in the Pine Island Slough Ecosystem. Jeff makes his current home just outside Gainesville, a culture away from his previous home of Fort Lauderdale. Although he misses his proximity to the Everglades and Big Cypress, Gainesville offers Jeff the lifestyle he prefers. 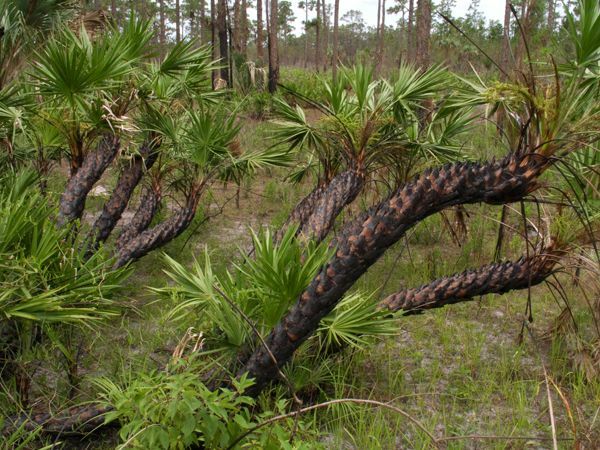 Florida is his home and he aims his conservation work at the people of Florida. Critical Linkages Photographer Jeff Ripple uses his favorite tool, light, show us the texture of this photograph of the Pine Island Slough Ecosystem. Florida, Jeff believes, received a breath of fresh air during the recession. When the housing market crashed, there were no people to build and fill developments. Jeff’s Critical Linkage area, the Pine Island Slough Ecosystem, is a perfect example of the recession as a conservation savior. The Pine Island Slough lies along a single ranch, and as Jeff explains, “that entire area was destined to become a city with airport and houses. It is a breathtaking place! To think that someone would think of putting a city there just breaks your heart.” Instead, the recession allowed the ranch to drive cattle and the citrus trees to grow. 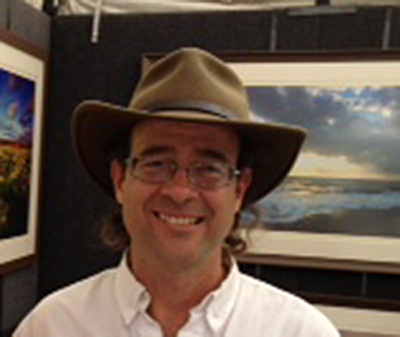 You can learn more about Jeff Ripple on his Facebook, and view his photography and his painting on each of the linked websites.